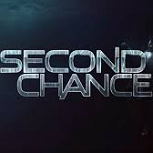 In a Nutshell: Fox's new drama Second Chance will go down in history as the last of the many, many new shows launched with an American Idol lead-in. (At least until whenever Fox tries to revive Idol.) It's about a man brought back to life in a new body and with special abilities. Another notable about this show is its many different names in development: from Frankenstein to The Frankenstein Code to Lookinglass to Second Chance. It gets seven Idol lead-ins to open its run, then will air the final four alongside Rosewood. Best Case: No way this has an Empire type of ceiling, but you just never know what genre concepts will connect. And its lead-in American Idol had a very good opening week. The show might pick up some audience from people watching ads during The X-Files, as promos highlight producer Howard Gordon's connection to the show. It has really good retention of Idol and grows solidly from Rosewood in the closing weeks. 1.90. Worst Case: Not all genre concepts get sampled, as Minority Report proved in the fall. Fox cut the order to 11 episodes; even if that was just to help it fit the schedule, they didn't have to do it. There are a lot of drama alternatives in this timeslot, and the Idol crowd will happily change the channel for them. It fits right in with recent post-Idol bombs like Rake and Backstrom, averaging a paltry 0.75. Likeliest: This comes from the creator of NBC's Life, one of my personal favorite short-lived series, but the reviews are very mediocre. I forgot to watch it when it was available on demand, which probably isn't a great sign for the appeal of the concept, and I don't really detect any buzz. Maybe it's a bit closer to the latter-day Idol audience's wheelhouse than previous efforts like Rake and Backstrom, but I don't see it doing well enough for renewal. It'll have a lot more premiere night drama competition than those shows did and eventually end up in the same place: retaining less than 50% of Idol. 1.08.